Starting next week on February 10, Panamanians traveling to will be able to enter the city of Hong Kong, but will not China without a visa, said the Foreign Ministry on Saturday, February 2. Panama and the government of the Hong Kong Special Administrative Region agreed on the abolition of the visa requirement for ordinary, diplomatic, consular and Panamanian official passports "with the objective of continuing to promote exchange" between both nations. "This milestone will facilitate and encourage tourist and commercial exchange between Panama and this important city that has a strong economy of services, as well as one of the most important ports in the region," said a Ministry statement. 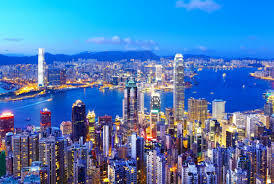 Under the agreements, Panamanians will be exempt from the visa requirement to enter, transit, stay and leave the territory of the Hong Kong Special Administrative Region, for a period not to exceed 30thirty days. According to the established, those interested in extending their stay beyond the agreed period must comply with the procedures established by the respective migratory laws and regulations. ‘The requirement of stamped visas is maintained for the entry of Panamanians carrying ordinary passports to the People's Republic of China". Said the Foreign Ministry.